A great invitation choice for country or rustic themed weddings, these Mason Jar Bridal Shower designs are high quality and very easy to personalize. You also get a 15%-50% discount when ordering your invitations in bulk. Here you can find a unique selection of "Wedding Gown" bridal shower invitations, some of the most interesting, original, stylish and fun designs. 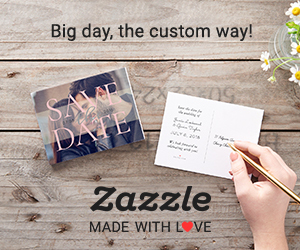 These invitations can easily be personalized to suit your own needs, giving you control of those special little details! Modern bridal shower invitations and announcements inspired by creative chalkboard typography designs.